I’ve been considering removing the attached power cord from my Dean Markley K-20X amplifier and putting in its place an IEC jack with fuse. I finally did it last weekend. 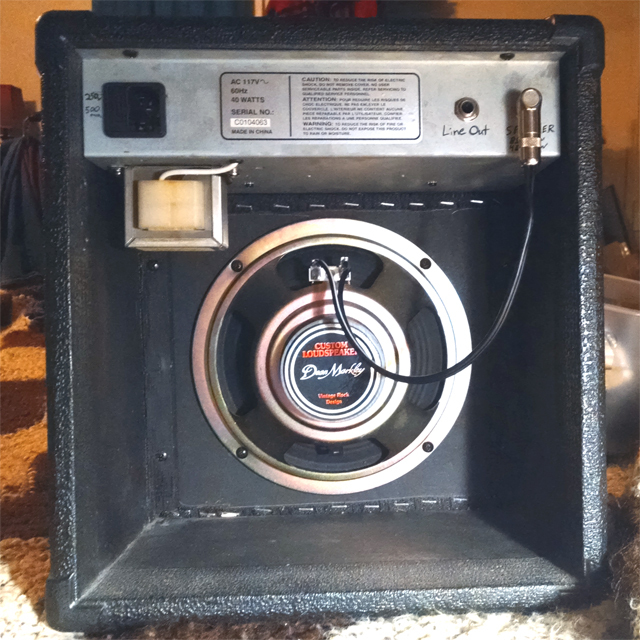 Not only does this allow for quick cord replacement, but also easier storage, the use of a 90 degree cord so you can put the amp closer to other devices, and it puts the fuse in an easily accessible area (back panel). The old fuse location being on the PCB was not only inconvient, but arguably unsafe (putting mains current and voltage to the PCB). The mains wiring now bypasses the PCB completely making the amp safer and easier to service. As a side effect, I needed to relocate the power transformer to have room for the back side of the IEC jack. It is now directly under where it use to be, same mounting holes and all. This puts the transformer outside of the metal enclosure. This potentially removes some noise (though so far I haven’t noticed a difference), but as a negative, it does put the transformer in an area where it could potentially be damaged. I will be attaching a shield of some sort over it so that it cannot be damaged so easily. 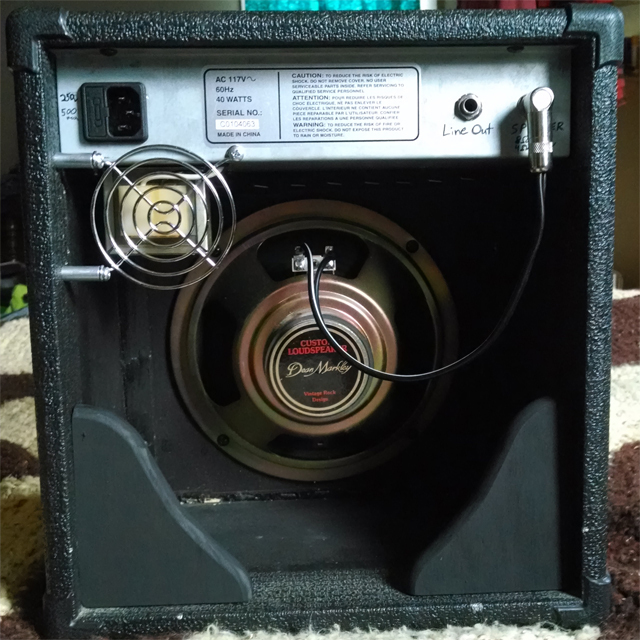 I have added a shield to the transformer and some wooden brackets to the back of the amp that allow me to store a guitar cable without it falling out. Picture below. This is the back side of my K-20X. I have added a line out jack, speaker jack and IEC power jack w/fuse. The power transformer has been relocated from inside the amp chassis as well (below the IEC jack). This entry was posted in Circuits and Electronics, Music, Projects, Upgrade. Bookmark the permalink.